Thanks to the availability of frozen foods, freezer has become more than just keeping ice packs! For a woman, who hardly gets time to shop for a particular fruit, having a pack of frozen one is a savior. It is incredibly the most convenient and easiest way to put something quickly into the stomach than spending hours in cooking. While packed dried fruits are the best, are they nutritious? How will you restore in the freezer? How will you cook with them? Is thawing important or you should directly put your food on the stove? Have you ever dried the hydrated frozen food? If you are wondering that hydrating is such a task of breeze, then it’s not! You just don’t have to soak and drain your freeze-dried food. Doing this will make your foodstuff soggy and will make it more difficult to cook. Furthermore, soaking and draining will also drain off the excess of water-soluble vitamins. So, instead of over watering it, just add enough water to dip food and stir it frequently. A few minutes later, drain-off all water and start cooking! Also, if you are cooking with more than one ingredient, hydrate each one individually and then mix in the recipe. However, if you are going to put enough water when cooking, then just throw all ingredients all together and let it simmer! Frozen dry foods make a great dry snack! Unlike dehydrated foods, frozen ones are easy to munch! They are completely dry which means you can eat them raw. Also, they are fragile and can quickly crumble in your hands. 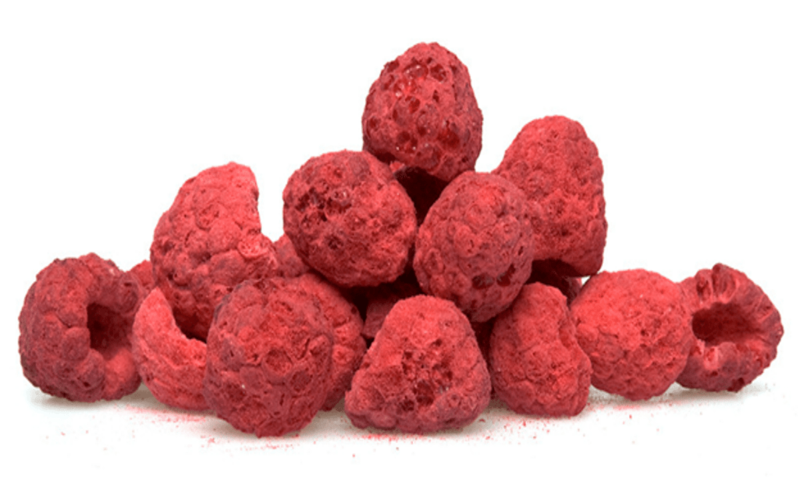 All veggies and fruits, especially dried and frozen, taste amazing and are also quite healthy. You can also try frozen yogurt! Tip: If you are replacing your evening snack with frozen, dried food, make sure to consume lots of water. Since frozen foods are dried fruits, they will not help in maintaining the water level in the body. Frozen dried food will hydrate quickly and easily get simmer in hot water. Also, if you are cooking frozen meat, don’t overcook it; this will add odd texture to it and will taste awful. Instead, add chicken in warm water or cold water for sometime before cooking and then put it on the stove. Left with some food? Don’t know how to put them back in the freezer? Pick the right specific serving size to set the portions. While storing freezing liquids, don’t fill the container up to the neck as the fluid will expand after becoming solid. Avoid freezer burns by taking out excess air from the bag. To freeze items like baked goods or bread, wrap them tightly in a plastic wrap or foil so that the ice will not make stuff soggy. Fruits are healthy, but not all fruits are available all the time. So, if you have any craving for non-seasonal fruit, having a pack of frozen fruits will help you. Just keep in mind the above-mentioned tips and enjoy cooking with frozen stuff!